Gary was born and raised in Livingston, Montana. He started skiing at Big Sky during its first season. Living in Montana has allowed him to continue to ski at Big Sky every year since. 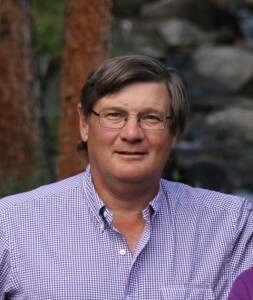 Gary and his family purchased property in the Meadow Village in 2005 and relocated to Big Sky full time in 2013. Gary was elected to BSAC in September 2014. His interest in BSAC came from his desire to give back to his community and to encourage responsible growth which enhances all BSOA members’ property values. An avid skier and cyclist, you may see Gary racing down Ousel Falls Road from time to time. Philip Chadwell has spent time in Montana for more than 30 years and has been a homeowner in Big Sky and BSOA member for 5 years. Philip has worked in the finance business for 30 years and is moving to Big Sky with his family to pursue a new career. He grew up in the Detroit area and earned his BA from Albion College. He began his career with Kidder, Peabody in Chicago. From there he moved to New York with PaineWebber and UBS, later joining Barclays Capital. While in New York, Philip was a member of the Board of his Co-op Association. Married with two teenage boys, Philip and his family are outdoor enthusiasts actively enjoying skiing, fly fishing, golf, and hiking. Sharon divides her time between her home in Big Sky and her business in California. Sharon’s professional experience in advising clients and managing their real estate developments through state and local governments dovetails with her passion and concern for Big Sky’s environmental considerations. Sharon’s goal is for BSOA to remain diligent on any local and legislative issues that could impact Big Sky’s quality of life. Sharon serves on BSOA’s Executive Committee as well as the Architectural Committee. A Buffalo, NY native, Kevin has lived in the West for the past 20 years, settling in Big Sky full-time in 2008 as the owner of Montana Backcountry Adventures, operating the Shedhorn Grill and Montana Dinner Yurt on the slopes of Big Sky Resort. Kevin currently lives on Little Coyote with his wife Jodi and sons Frank and Sam. He serves on the Big Sky Community Organization (BSCO) Trails Committee, as a member of the Big Sky Search and Rescue team, and works as a fly fishing guide in the summer. Kevin is passionate about Big Sky and wants it to grow and improve in a way that best promotes and sustains a high quality of life for its community members. Eric has lived in Montana since 1993 and has been an active resident and contributor to the Big Sky area since then, accumulating a depth of knowledge of the community and its developing neighborhoods. Eric believes that the BSOA, its members and Board members are one of the most credible Association voices for the community, having helped spearhead the Resort Tax, community parks, the trails system, and Ousel Falls. Eric has served on the Gallatin County/Big Sky Zoning Advisory Board (appointed by the County Commission) for 14 years. He now serves on the Gallatin County Department of Revenue Tax Appeals Board. Eric and his wife own property in the BSOA, have raised three children in Big Sky and have seen many changes as it grows and expands. He is committed to doing what he can to make sure that Big Sky maintains its well deserved position as the "Last Best Place". Grant and his wife have been property owners in Big Sky since the late 1990’s and home owners since 2002. Grant is a full time resident in Big Sky and is excited to serve on the BSOA Board to work toward sustainable and responsible growth in our community. Grant believes effective community engagement is essential to balance the needs and resources in Big Sky. Grant is a member of the Big Sky Rotary club and has previously held offices in the American Cancer Society, Citizens Advisory Committee (Aurora, CO) and Toastmasters International. Originally from Ohio, Gail and her husband acquired their property in the Cascade Highlands subdivision of Big Sky in 2004. They completed construction of their home in 2010 and became permanent residents in 2012. Gail practiced law in Dayton, Ohio before retiring from law practice to raise a family. During her last 10 years in Dayton she held leadership positions in Bible Study Fellowship, an international, non-denominational organization. Gail enjoys both alpine and nordic skiing in the winter and is an active hiker in the summer. Her desire is to achieve a tasteful growth of services and amenities in our community without compromising the spectacular natural beauty that makes Big Sky special. As Gail and her husband celebrated their 40th wedding anniversary in 2013, they realized that they were married on the day that Big Sky Resort opened, December 15, 1973. Michelle moved to Big Sky in 2004 to "spend a season on the mountain" and never left. She began her career in Montana at Moonlight Basin, and she is currently the Owner Services Manager for Big Sky Resort. Over the course of the last thirteen years in Big Sky, she has served in various capacities with several HOA’s, including West Fork Meadows, the Summit Hotel and Village Center. Michelle is dedicated to the long-term success of our town, and, as a member of the board, she will work to foster continued responsible growth in Big Sky. When not on the mountain skiing, you will find her enjoying the outdoors with her husband, two sons, and two dogs.